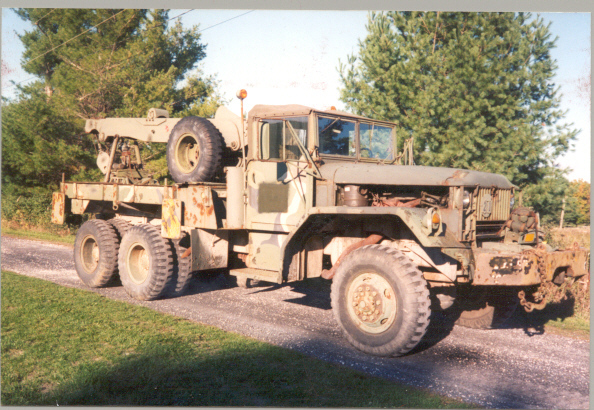 Bought in 1999 the M-62 wrecker has been useful in so many projects around the yard that I can never manage to take it apart for paint. 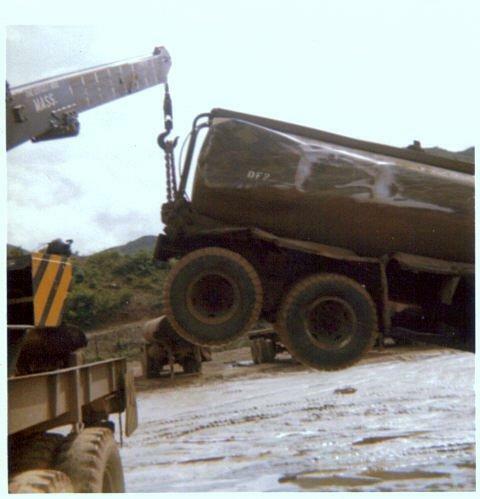 In Vietnam trucks like this were the "Workhorse" of any Trans Co motorpool. It would be used for engine changes, errecting new building structures and even its intended job, recovering damaged trucks. 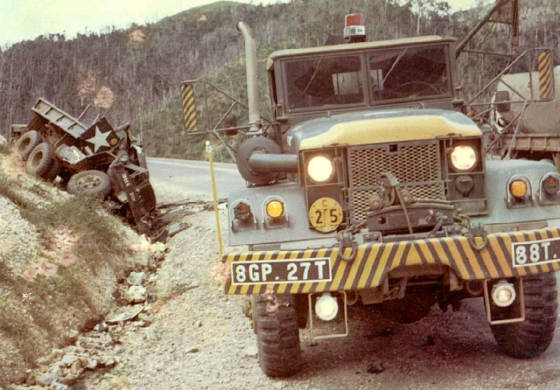 The pride of any Motor Pool was their wrecker. 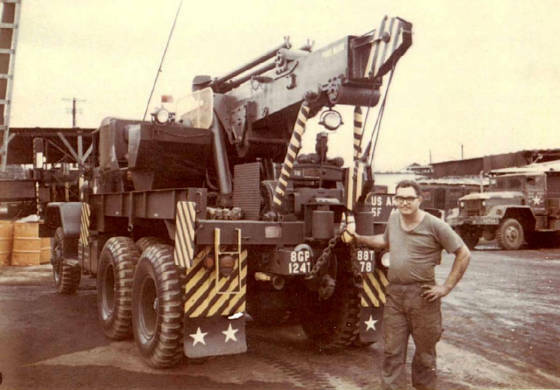 A fully "decked" out wrecker was often the way that the motor pool mechanics showed the pride in there work to the Line Haul driver. 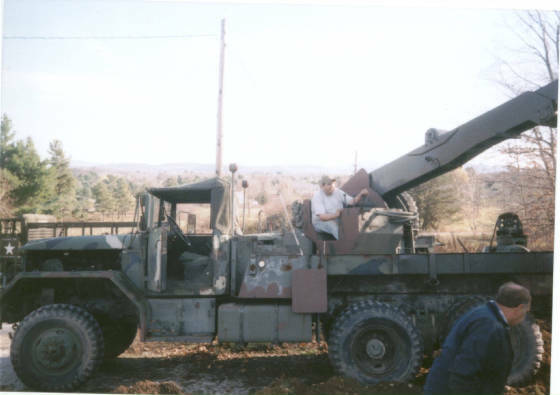 Our M-62 at work in the yard. Our M-62 lovingly named "The Chief" in honor of CWO Rodney Getschman. "The Chief" entered the army in 1951 and would serve in a infantry unit in Korea. His career would later bring him to two tours in Vietnam. 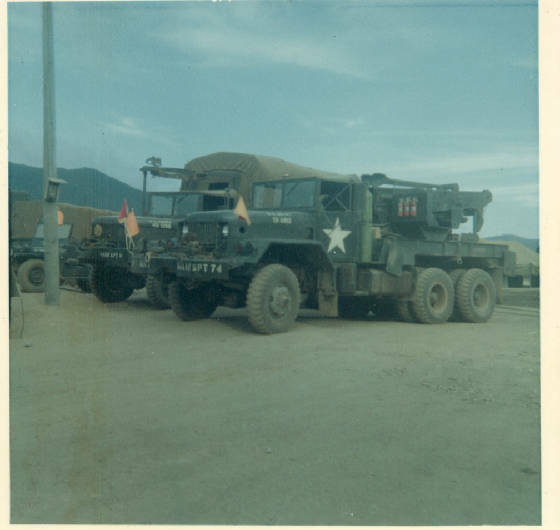 His first with a infantry unit and his 2nd as a Motor Pool officer. 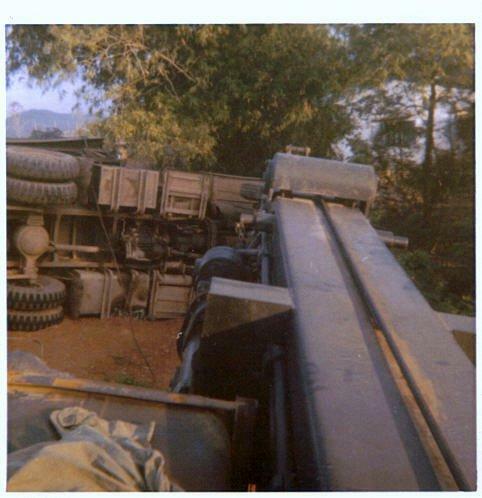 He would eventually finnish out his career teaching Wrecker recovery procedures for the Army in 1991. Chief loved his wreckers and I enjoyed reading the many e-mails he would send me about his career with them.